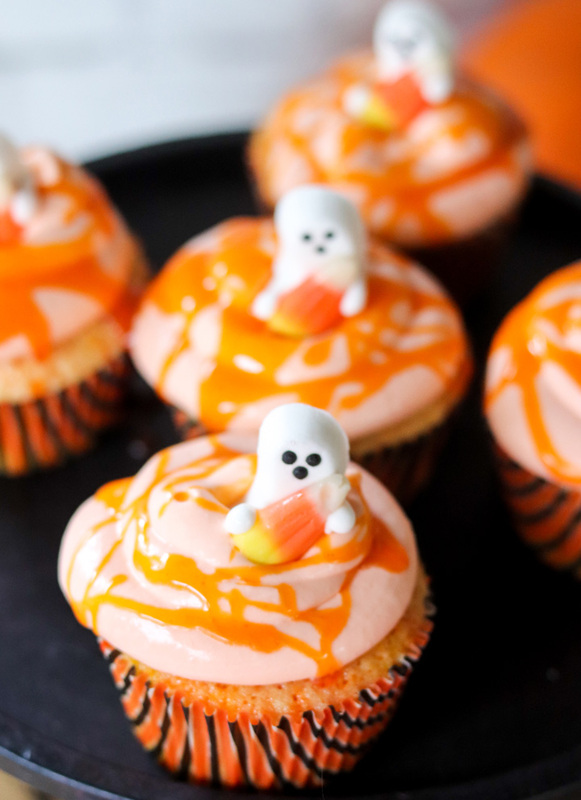 Delicious vanilla cupcakes topped with real candy corn frosting and then drizzled with a candy corn simple syrup. 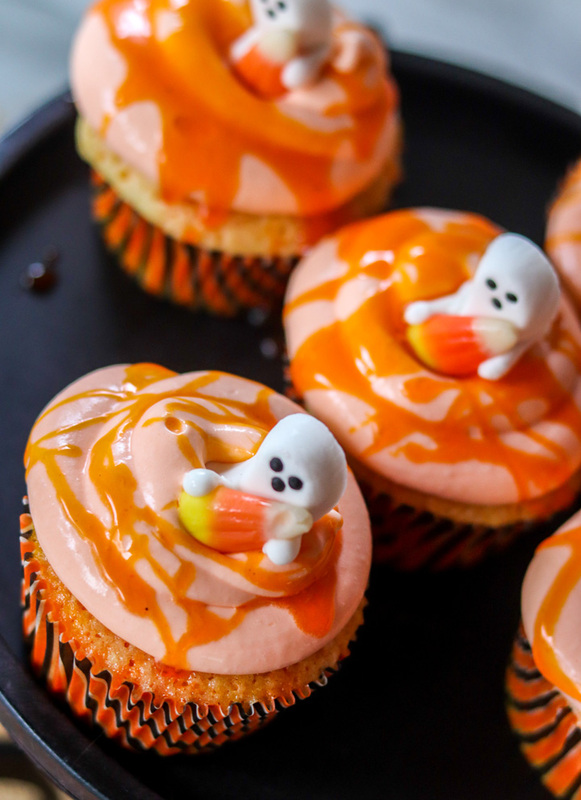 These candy corn cupcakes are literally the bomb! Wow, we’re nearing the end of #HalloweenTreatsWeek which is kinda crazy. After today, only one day left. 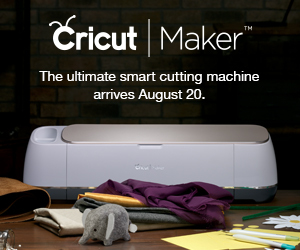 And that also means there isn’t a lot of time left to enter the giveaway. Go check it out and look at all the prizes! 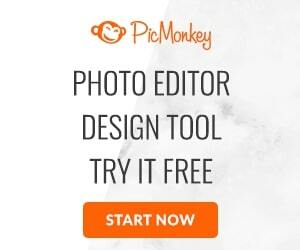 Then ENTER! Today is Day 5 and I brought Candy Corn Cupcakes with real Candy Corn Frosting. These cupcakes are incredible. If you are a candy corn fanatic, you will love them. Each of these cupcakes starts out with a simple, moist vanilla cupcake. We dyed 1/3 of the batter yellow and 1/3 of the batter orange and rather than layering them like a candy corn, we simply swirled the colors into the white cake batter. But where the whole thing needed to come together is in that candy corn frosting. I wanted to see if I could get a strong candy corn flavor in the frosting. So I started out with some heavy cream and infused it with almost an entire bag of candy corn. When I whipped it a day later or so, I was so pleased with the flavor. I did add more heavy cream to make it a bit thicker, but know that this is a whipped cream frosting so must stay refrigerated to hold it’s shape. So you’re probably wondering what that orange syrup is on top. That is the cream de la creme of the cupcake. A delicious candy corn simple syrup. 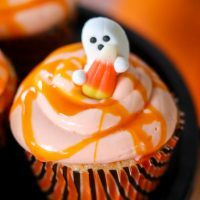 The best part of the candy corn simple syrup is that fact that it can be drizzled over all kinds of things, but these cupcakes were on the top of the list. 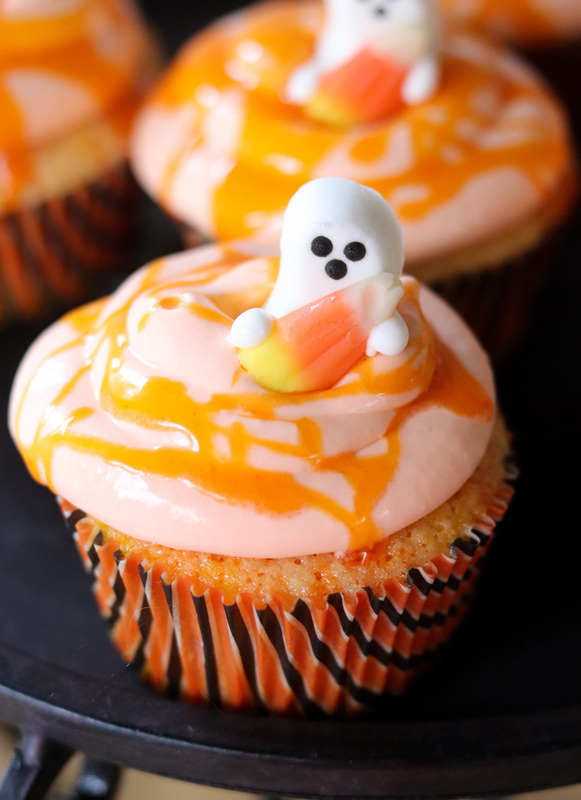 Literally these Candy Corn Cupcakes with real Candy Corn Frosting are absolutely our favorite fall cupcakes. And the cute little ghosts holding the candy corn on top? Those are from Wilton, and while not necessary for the cupcake, they just wouldn’t be the same without them. 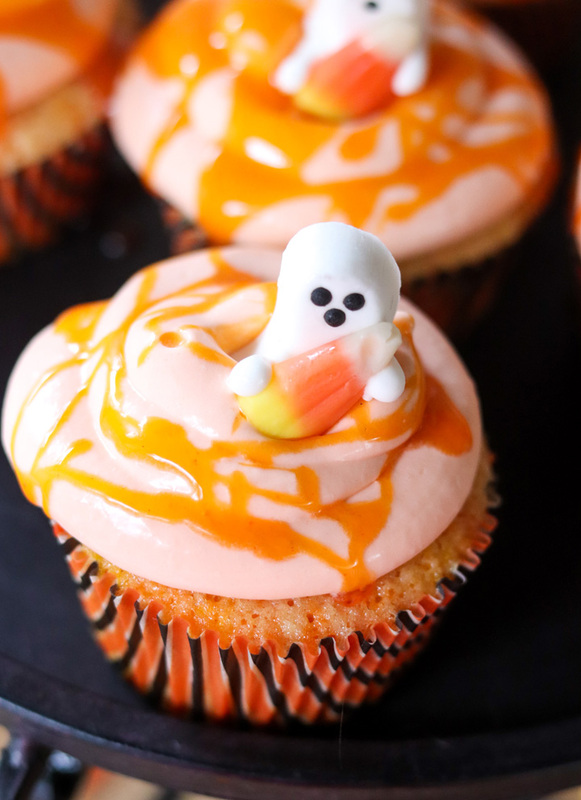 Are you ready to make Candy Corn Cupcakes with real Candy Corn Frosting? In another large bowl, beat the butter and sugar until light and fluffy. Took me about 3 minutes. Add eggs one at a time, beating between additions. Add extract. Begin adding the dry ingredients a little a time, and in between add the milk a little bit at a time. As soon as everything is fully incorporated, stop mixing. Don't over mix. Separate 1/3 of the batter into one bowl, add yellow food coloring and gently stir until combined. Separate another 1/3 of the batter into the bowl and add orange food coloring and stir gently until combined. Divide remaining white batter between 12 cupcake liners. Divide yellow batter between the 12 cupcake liners. Just pour it right on top of the white. Divide orange batter between the 12 cupcake liners. Using a knife, swirl the batter all together. Bake at 350 degrees for 20 minutes or until toothpick inserted comes out clean. 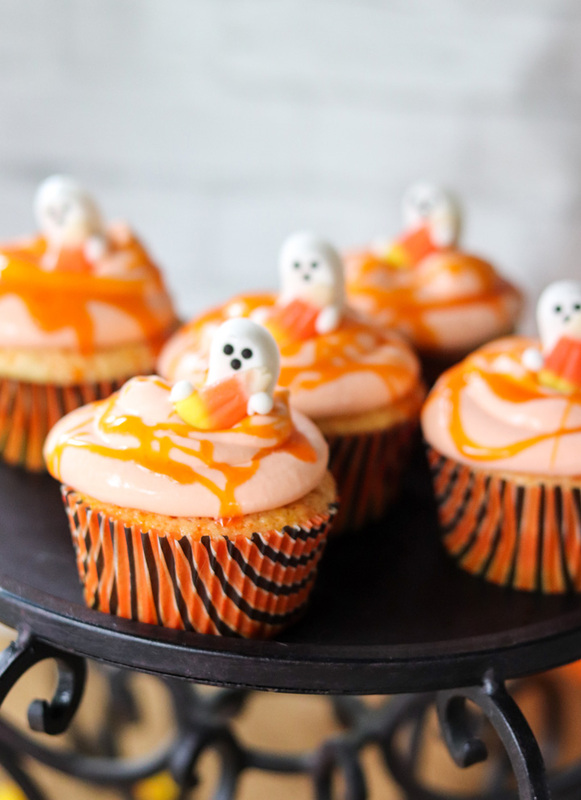 At least 24 hours before you want to frost your cupcakes, in a glass jar, pour 2 cups of heavy whipping cream and 1 1/2-2 cups candy corn. Shake well. 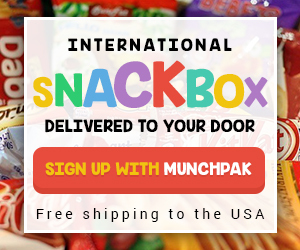 Secure lid tightly and refrigerate. Every couple of hours or so, remove jar from fridge, and shake well. After 24 hours, strain the liquid into a large mixing bowl. Add 1 cup of heavy whipping cream to the candy corn heavy whipping cream. Beat the cream until soft peaks form. Add the powdered sugar. 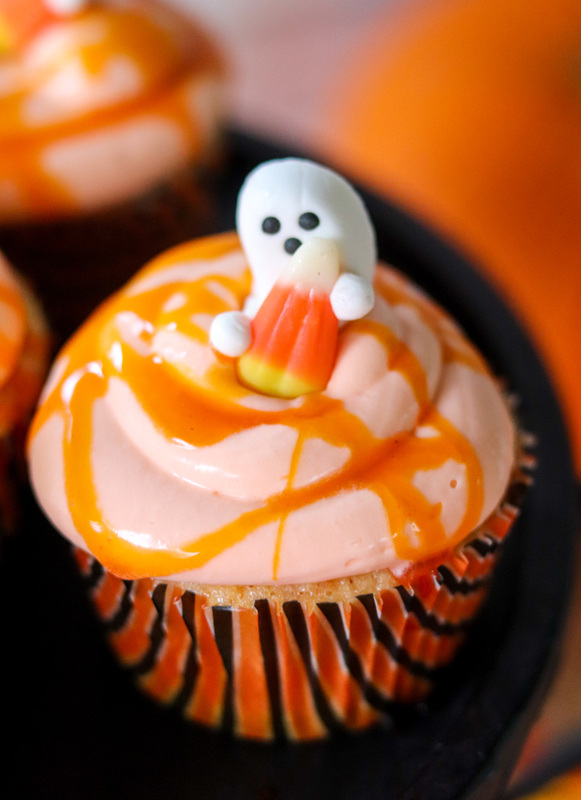 Top cupcakes with Candy Corn Simple Syrup and a cute Halloween decoration.